Why are the prices at www.zsf-motorrad.de so competitive, often cheaper than at a HONDA dealer? We have low administrative costs, buy in bulk and operate with small margins, and so can offer very competitive prices. Do you also sell OEM or aftermarket parts? No, we only sell HONDA original spare parts. Only these are guaranteed to fit 100% every time, and the HONDA name means HONDA quality. 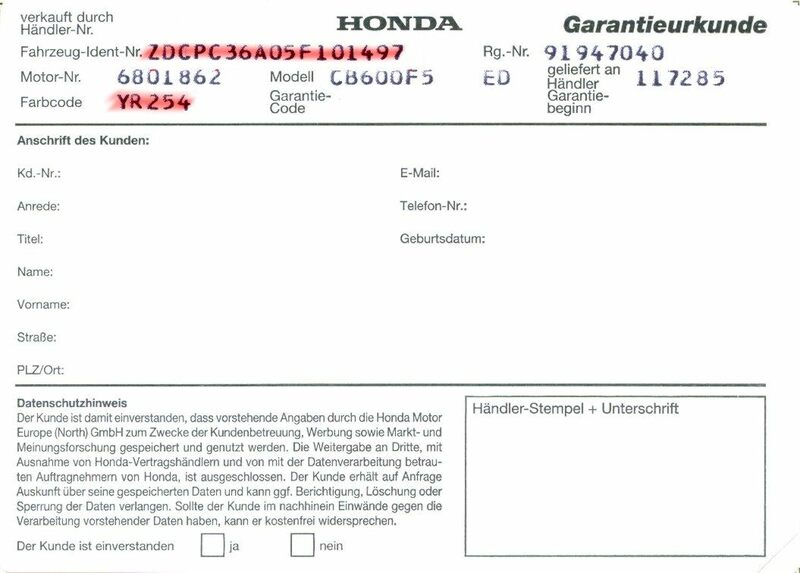 It may be interesting to note that your HONDA warranty is rendered invalid once non-original parts are used. What must I pay for postage and packing? At www.zsf-motorrad.de you generally pay a flat rate of EUR 4,99 (or EUR 7,99 ?? within EURO-Zone 1 ) for delivery, regardless of the value of the order. This covers only part of the packaging, delivery and postage costs. The rest is paid for you by www.zsf-motorrad.de. In exceptional cases, we may have to charge a higher flat rate. This will be specified accordingly. Should delivery be undertaken in several stages for technical or logistic reasons, we will of course only charge you once for delivery costs. Immediately upon receipt of payment, the goods will leave our warehouse. Please allow 3 - 4 days for delivery within Germany, and up to 10 days for delivery within the European Union and USA. Delivery time is primarily dependent on your domestic postal service and customs procedures. For deliveries to Asia and Africa, please enquire locally. Here, it might be advisable to employ the services of an international package delivery company. What happens when the parts I want are not in stock? We have excellent supply availability - it is very rare that we encounter difficulties in fulfilling your order. Should a part be temporarily out of stock, we will call you to enquire whether your order should be sent to you in stages, or if you would prefer it to be sent in full when all the parts are there. Should you no longer require a part, or it is out of stock we will reimburse you in full. Can I return spare parts? You have the unconditional right to return goods bought at www.zsf-motorrad.de free of charge within 14 days of delivery, without being obliged to state your reasons. However, electric and electronic spare parts such as CDIs, ignition coils, alternators, stators, rectifiers, starter motors, bulbs etc. are exempt and cannot be returned. If you return goods bought online, the contract is cancelled and you will be refunded once the delivered goods have been returned. Please give us your bank details (IBAN, BIC) so we can transfer you your money. Should the goods show signs of use or damage on return, we reserve the right to claim for compensation. For the return address please refer to the invoice. Should you intend to return goods, please let us know within 3 days by email, fax or telephone. Always return the item to us in full together with its original packaging - this allows us to complete the process quickly. State your reasons for returning the product in a short note and enclose it in the parcel so that we can improve our service. Please pay for the return postage in full and make sure you to have the return receipt stamped at the post office . 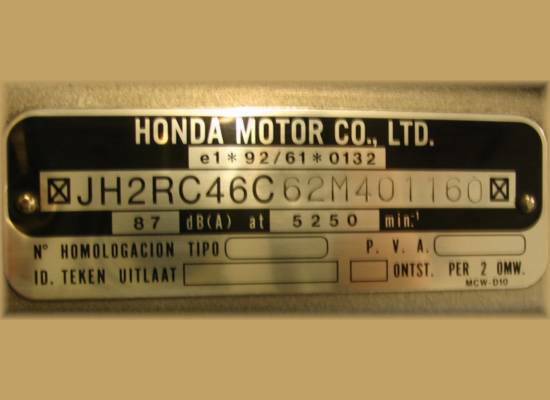 Where do I find my VIN (Vehicle Identification Number)? What is a colour code? 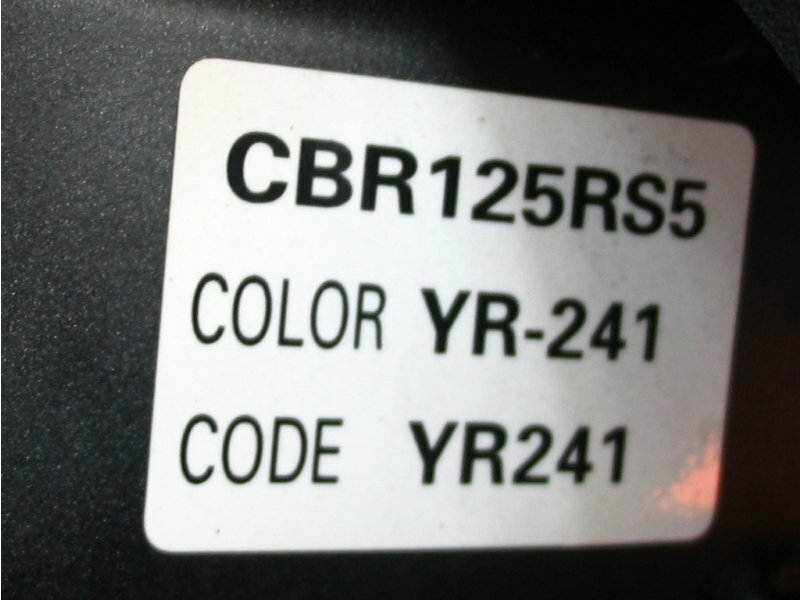 Every vehicle has a colour code, which enables exact matching for painted / coloured parts or motorcycle cowling. Where do I find the colour code? How do I order painted / coloured parts or motorcycle cowling? 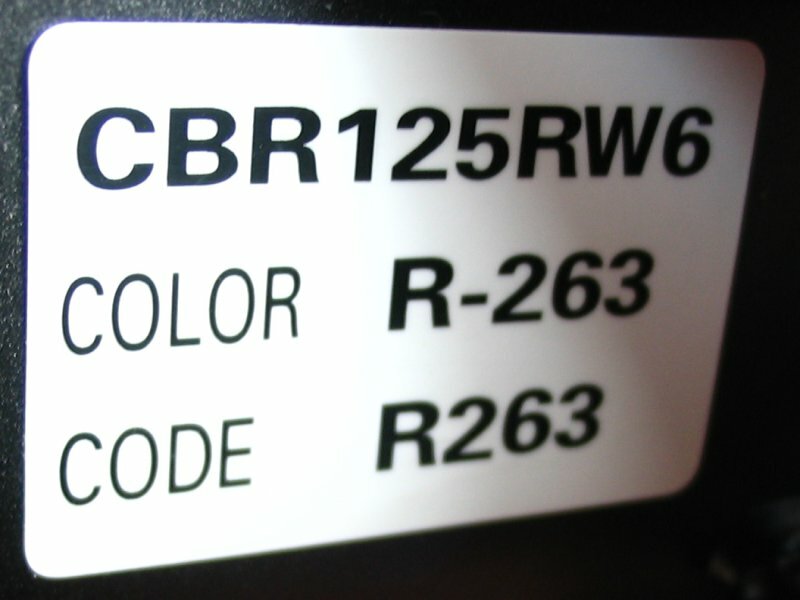 The colour of the spare part you require is encoded in the part number. Either this is to be found after the number (E.g. Type 1, Type 2, Type 3 etc.) or the number ends with a letter combination (E.g. ZA, ZB, ZC etc.). 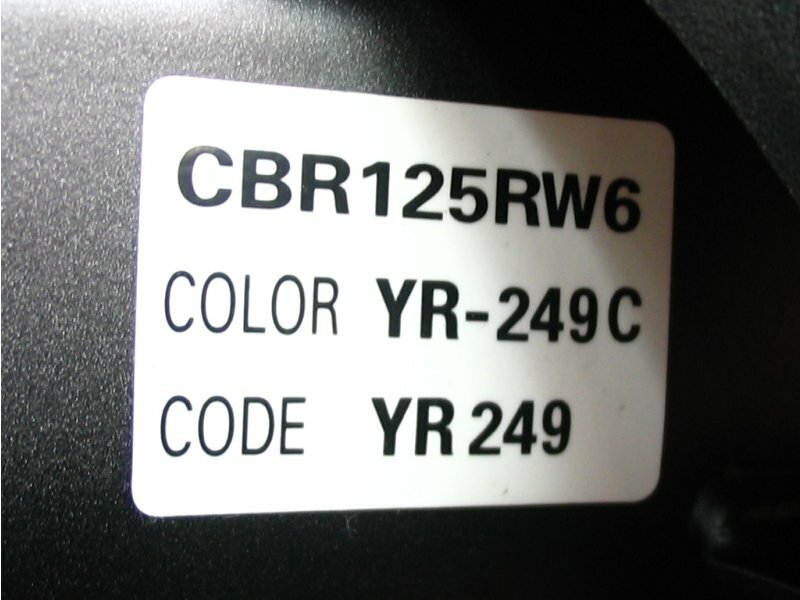 Just click any of these numbers - on the page that follows, you will be asked for the exact colour code of your motorcycle. I'm trying to order a painted / coloured part or motorcycle cowling and I'm confronted with lots of spare part numbers to choose from! Which number should I click? Can I order spray paint or touch-up pens? Yes, send us an email with the colour code you require and we can let you know price and availability. My VIN is not recognised by your system. Why not? 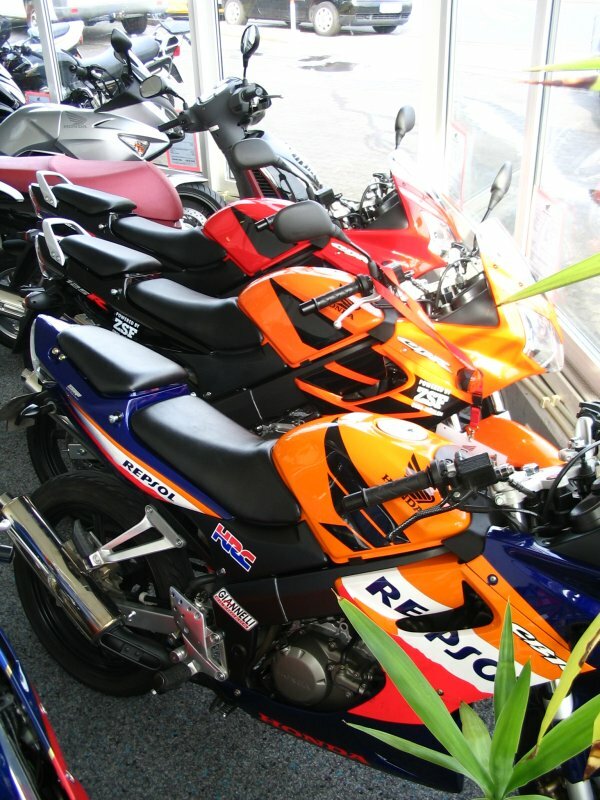 Your motorcycle could be a grey market import, and so not officially introduced onto the European market. 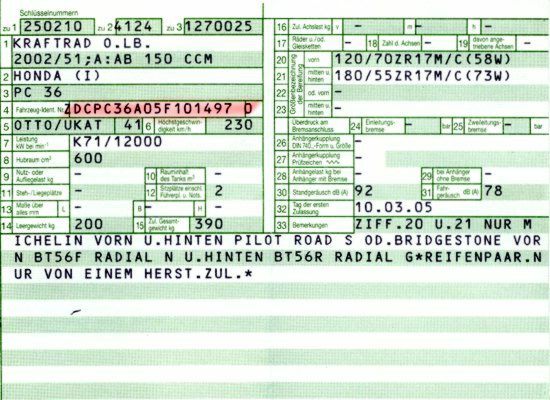 The year of manufacture of your motorcycle is before 1987 (initial registration year is not necessarily the same as the year of manufacture) - the system only recognises vehicles after 1987. 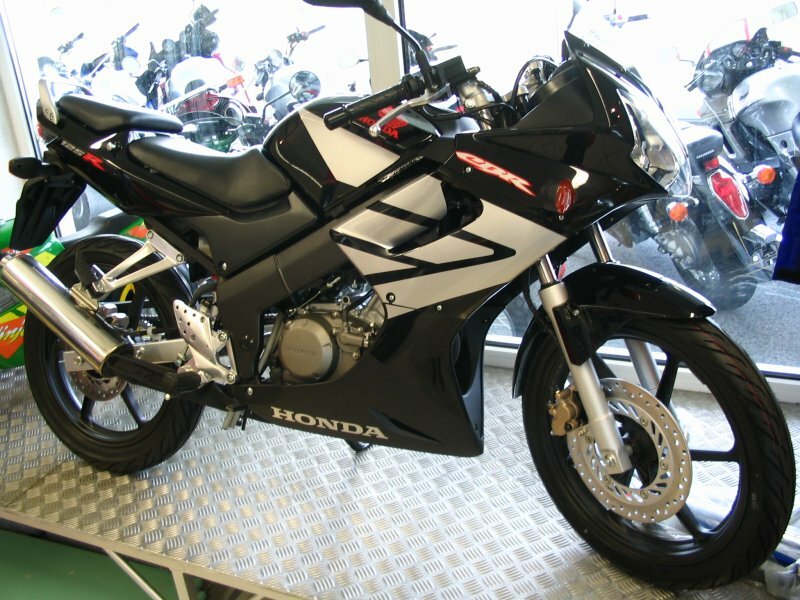 I have a grey market import motorcycle - can I still order spare parts? Please just send us an email with your VIN stating which spare part you require - we will try to find out the equivalent VIN which will enable you to access our shop. ATTENTION! 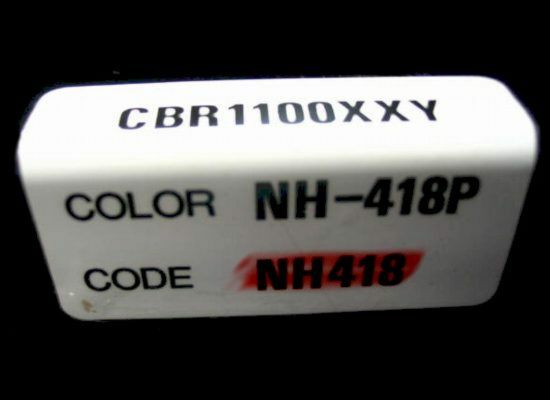 : We do not accept returns or give refunds on painted parts, stickers, handlebars or mirrors where colour differences may occur. Can I order HONDA original workshop repair manuals at your shop? Yes, HONDA original workshop repair manuals are much more comprehensive and detailed than standard repair instructions (include torque, circuit diagrams, error codes, service and maintenance work, fuel system etc.) Please just send us a mail with your VIN, we will then let you know price and availability. Please note that due to modifications made on certain models, you may need additional booklets i.e. more than one book is necessary. Can I order HONDA original special tools at your shop? Yes, special tools are often represented in the microfiche diagram. If not, just send us an email and we can inform you of price and availability. I have a technical question - can you be of assistance? Sorry, we specialise in discount mail order and our staff cannot answer technical queries. Please refer to your local HONDA dealer. Are there any hidden extras in the prices you quote? All the prices give are in EURO (€) and include 19% German Value Added Tax- so the price you see is the price you pay. What do you mean by "Choose Model"? In most cases, it is enough to input your VIN to access all the corresponding original spare parts for your particular HONDA model. However, with some spare parts, it is necessary to know for which market the motorcycle was built. For example, British models have a speedometer in MPH (Miles per Hour) whereas German models show KPH (Kilometres per Hour). 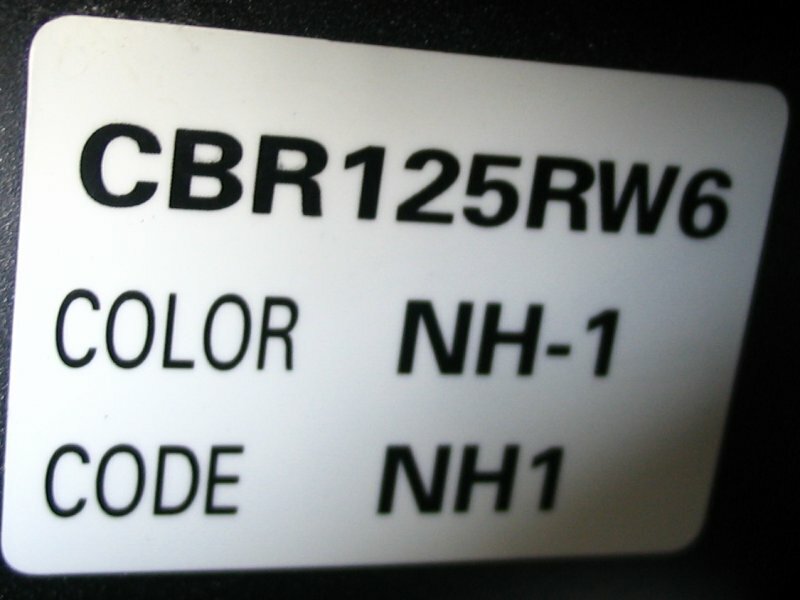 With some models, for example the CBR125, there are additional model codes to be found along with the VIN, which are connected to the colour code of the motorcycle.